Since when did tech get so political? In the last couple of weeks we’ve had not one, but two potential executives come under major fire, not because they weren’t qualified, but because groups of people disagreed with their politics and past. Brendan Eich managed 11 days as CEO at Mozilla before being ousted for supporting a ban on gay marriage in a California election back in 2008 (a majority of Californians supported it back then, and it passed). 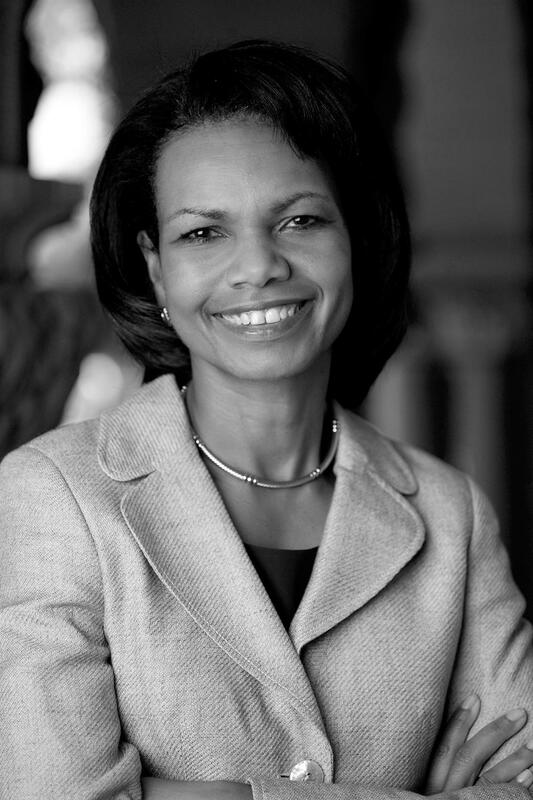 And now that Eich has gotten the boot, it’s Condoleezza Rice’s turn in the barrel. Rice has taken a position on the Dropbox Board of Directors, where she will advise on matters related to international expansion and privacy. Yes, Eich was on the wrong side of history about gay marriage (it appears) and Rice worked for the U.S. gov’t, which is now under fire for the snooping tactics of the National Security Agency, but come on. Isn’t it about time the tech world learns how to forgive and forget? Politics aside, why are Eich and Rice unsuitable for these jobs? Failing that, how about we just mind our own business? Working for Dropbox has nothing to do with NSA spying and opposing gay marriage doesn’t preclude someone from running a browser and OS company like Mozilla. The reasons for the fuss over Eich and Rice’s appointment aren’t the same, but the end result could be identical. Eich is out, and if enough noise is made over Rice’s position at Dropbox, she could be next. While fighting for a cause – any cause – is noble and essential, these are both battles that help nobody. Instead, two companies end up losing valuable, influential, and experienced team members. Eich wasn’t pressured into resignation for gross misconduct, and Rice hasn’t been found selling the contents of our Dropbox folders on the Deep Web. Scandals involving tech executives are nothing new, but they should at least do something wrong or stupid to get the boot. For example, in 2012 Best Buy CEO Brian Dunn had an affair with a female employee, which went against the firm’s code of conduct. In the same year, Yahoo CEO Scott Thompson left after it was discovered he lied on his resume. These guys don’t sound like the right people to be heading up a company. Thompson and Dunn have something in common. They lied, cheated, and abused their positions. They don’t work there anymore for that reason. For Eich and Rice, it’s not about an inability to do the job, or doing it badly. Instead, it’s about other people – some not in any way connected to the company – not wanting them to be appointed based on their own views or political leanings. Someone shouldn’t lose a job just because you don’t like them. Is every company going to start bowing to public (social) pressure this way? How long before trolling affects a CEO? This blurring of who makes decisions sends a confusing message. We, the media, and social channels are letting everyone yell and companies are beginning to bend to public will (right or not) a lot more frequently. At the height of Eich-gate, a friend of mine wore a Firefox pin to work, and was chastised by not only some of the staff, but also the CEO of the firm, for “supporting Mozilla, which is against gay rights.” Now that would be worth getting angry about, if it were true. It wasn’t. One of the reasons we love tech is its constant evolution. Dredging up the past goes against this. Pushing people out of their jobs based on opinion rather than performance is a slippery slope. It’s worse if those opinions come from random loud voices on the Internet with their own agendas. We don’t want our private lives snooped on, and we should get mad at those who oppose gay marriage and other human rights, but in an industry as fast moving as tech, can’t we find a more innovative way to deal with those with which we disagree?